Vroom, Vroom… I was driving along down all the dirt roads and finally pulled up to my destination. I got out of the car and the gentleman laughed and said so you’re a packer fan! I smiled and said you bet! Then the landowners wife came out to greet me, both so ecstatic to meet me, so gosh darn excited to look at their dying trees. My original reason for the visit was to look at a few oaks they suspected were dead from oak wilt. First we looked at a white pine, infected with weevil-displaying signs of whats called a shepherds crook. The shepherds crook refers to the previous terminal lateral leader on top the tree dies because a new one is growing and taking over. The weevil larvae are laid just below terminal causing it to die and a new one takes over. 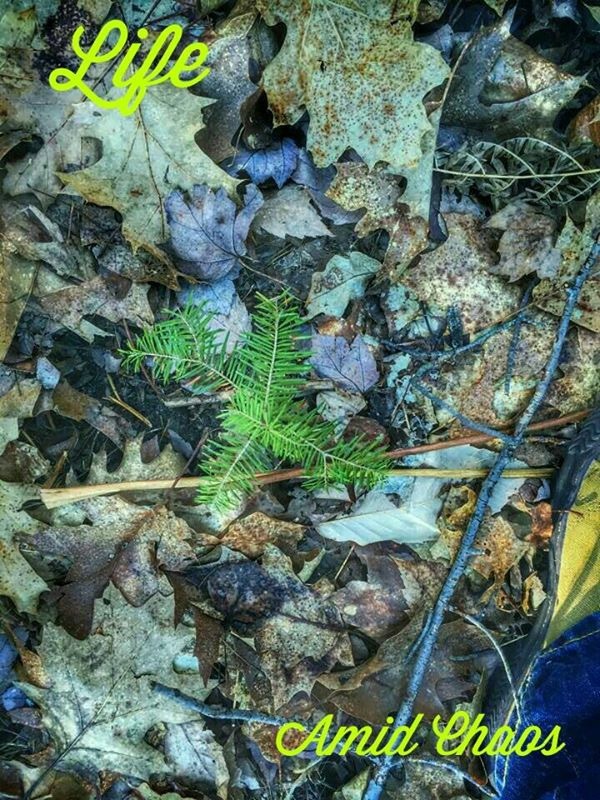 This is why we see white pines that are not growing straight up but a rather zig-zag formation. 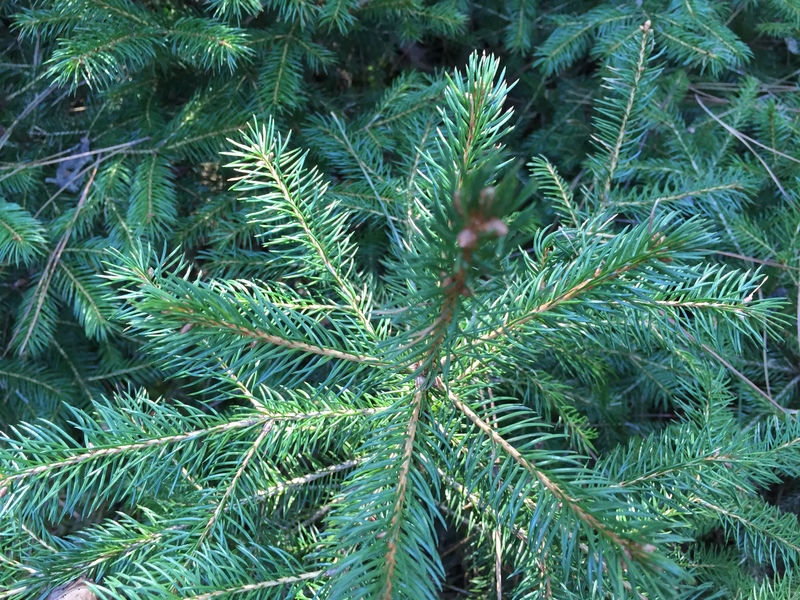 Then we moved on to to some other trees they were worried were going to get diseased like the others on their property…I say other trees because they were calling them spruce trees-I got closer and I said these are not spruces but are balsam fir trees. MINDS BLOWN!! The joy that exuded from the couple put a smile on my face. They asked how I could tell, I explained to them that the needles are softer than a spruce and are flat and cannot be rolled in their fingers as well as pointed out the smoother bark. They were so excited and I responded with “I have never had anyone more excited to hear they had balsams on their property”! 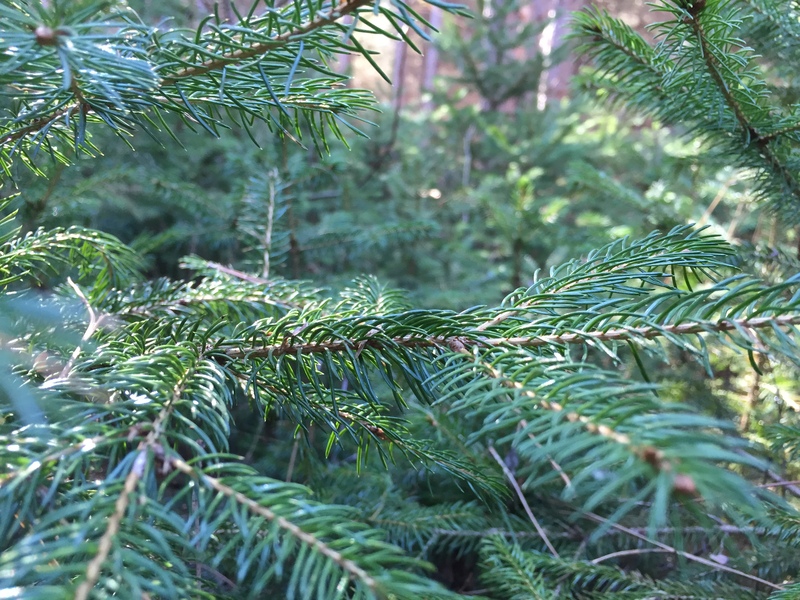 I come from a place where balsam fir trees get a bad wrap–on going joke is set the balsam on fire! Not these two! As they are jumping for joy about the balsams they asked me what was growing inside the tree! They pointed out a lovely case of “witches broom” a fungus that grows often on balsam fir trees and blueberry bushes. Its not just a Halloween prop! Finally we made it back to the oak trees. They walked up to the oaks, expecting devastation. I looked up the tree and browsed the branches and told them its not dead; I see buds! I explained to them that its a red oak and if it was really oak wilt that “killed” their tree last year it would have died no doubt, but this tree and the ones around it were in fact budding. They looked at each other and shared a smile. They said it was the best news they could have gotten. A few thousand dollar problem may have just been resolved by education. They had read my recent article in the paper and took the right steps in talking about it first before spending the money to trench the tree and remove it. Sometimes oaks die due to bugs killing the leaves and causing them to drop-seeming like oak wilt but the next year the tree often comes back. We then hopped on their golf cart and started speeding through the woods. Now I may have shocked them with the balsam fir, witches broom, and a living oak tree but rarely am I shocked. He began showing me all the trees he had planted. Red pines, white pines, spruces…all with BUD CAPS!!!!! Bud Capping is something I have been trying to explain to folks here in Michigan to help prevent deer from eating off the terminal bud of young saplings, but No one, until now, has heard of it! It is a University of Minnesota thing and that is exactly where he learned it from. I was in complete awe looking around his property seeing white paper stapled on top of all his young trees! Finally we got to our final destination- A HUGE WHITE PINE!!!!! From afar it looked like any other white pine but up close- Oh goodness I was standing under the mother of white pines! The couple hugged the tree trying to see if they could reach each other-they could not! Needless to say I wowed them and they wowed me! I am so sick of all these mosquito’s! This is a common line I hear from many landowners as well as my friends. I often walk through landowners woodlots and they start complaining or mentioning areas they do not go to because the mosquitoes are unbearable. My response is a laugh and then I say “well there is a tree, go buy a bat house”! Often I get a puzzled thought and then response of “really”?! Yes, bat houses are not a cure all but they do help reduce the amount of mosquitoes in an area, least a bit. On average one bat can eat up to 7,000 maybe more mosquitoes in a night!!! ONE NIGHT!!! A tiny little bat consumes thousands of mosquitoes for din din in a night!!! That means get a few bats in there and your problem will be reduced. Put it up and they will come- I say! Bats are a hot topic right now in the Midwest and probably other areas, as well. I have been doing research on the Northern Long-Eared bat, Myotis septentrionalis, because it has become an issue here and relates to forestry. It could impact the amount of harvesting done during the summer months. 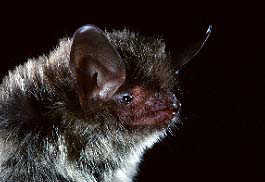 The Northern Long-Eared bat is being affected by the white nose syndrome. It is a fungus that affects the nose, ears and wings of a bat during hibernation. The fungus is cold loving fungus so it attacks them during the cold months; hibernation. The fungus hurts their hydration “processes” and they burn more fat then they should therefore when they wake after a long cold winter they often are dehydrated and die. This fungus is killing thousands of bats. I have been watching webinars and such on the topic of listing the bat on the endangered species list. There is a lot of controversy because of summer harvesting. Bats roost or sleep upside down in hollow trees and if unknown when a tree harvesting takes place the bats well sadly they die. I believe, correct me if I am wrong, the last I heard was that the bats were listed as threatened. Awareness needs to be addressed with the subject. We as an economy cannot stop harvesting in the summer months, it would cause crashes in production mills with summer wood and cause more to close. But the bats are also important therefore awareness is key here. So when I tell landowners not to just put up a bat house for their benefits of reduction in mosquitoes and other insects but also so they have a safe place to roost where we are able to tell where they are. Bats get a bad wrap, but really they are harmless and like everything else need to be see as a fluffy little creature so we CARE! 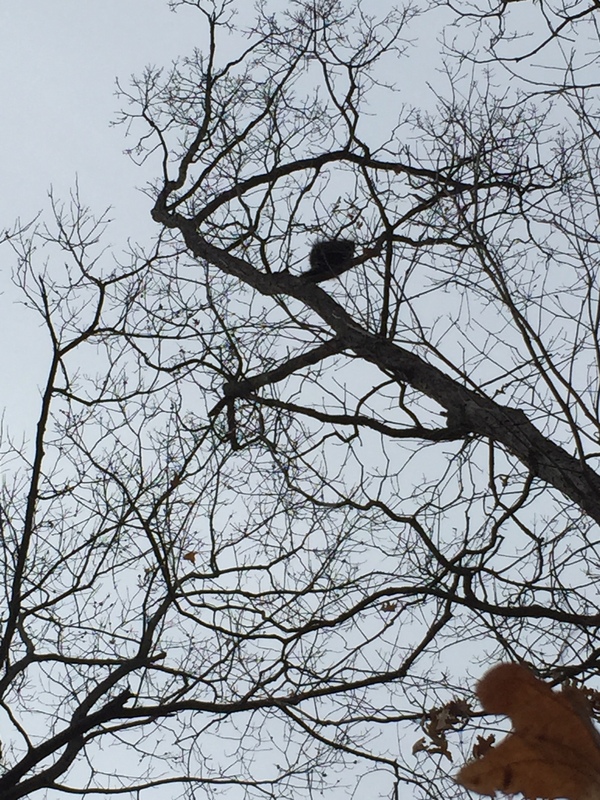 See that tree…put up a bat house….or two or three! Build it and they will come!! Check out my Ears! I am cute too! Save me! That quote is from the author of the book “Last Child in the Woods”. The book was given to be by another nature lover and educator. Although I have not finished the book, it is an inspirational. It is a book to remind us that our children are the future and education and nature for them is vital. I do not have children of my own yet, but in my position as a forester for the Conservation District…education is key! This past Saturday, I was asked to host an educational table for 4-H children. I will also in the next week be at two more educational “Earth Day” events for young children to teach them about trees, the importance of trees, and to love this Earth for everything it can give us. When planning what I was going to do, I picked the brains of folks around me and decided to go with a way children can connect everyday things they see with trees. 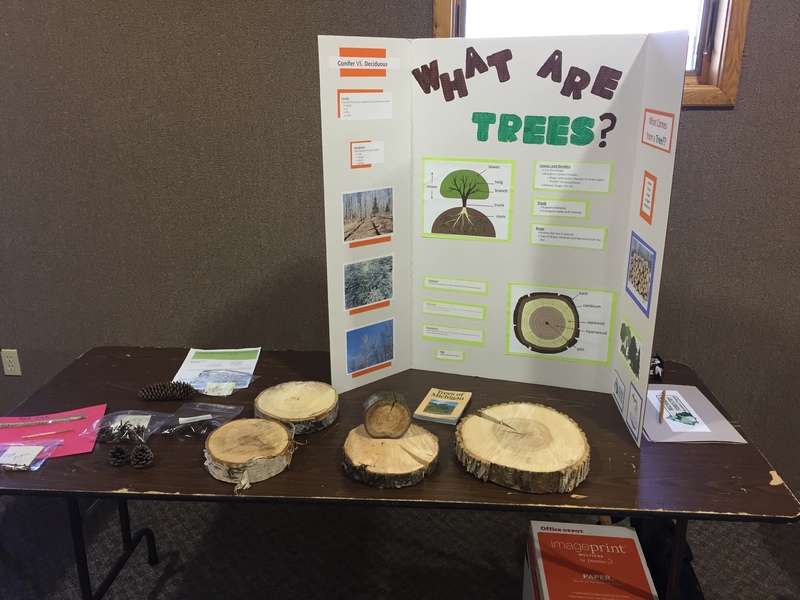 I also learned through the experience and sharing this project with those around me that even adults do not understand the basics of trees, I was not shocked! We see trees on a daily basis, but we do not know the basic functions of a tree. 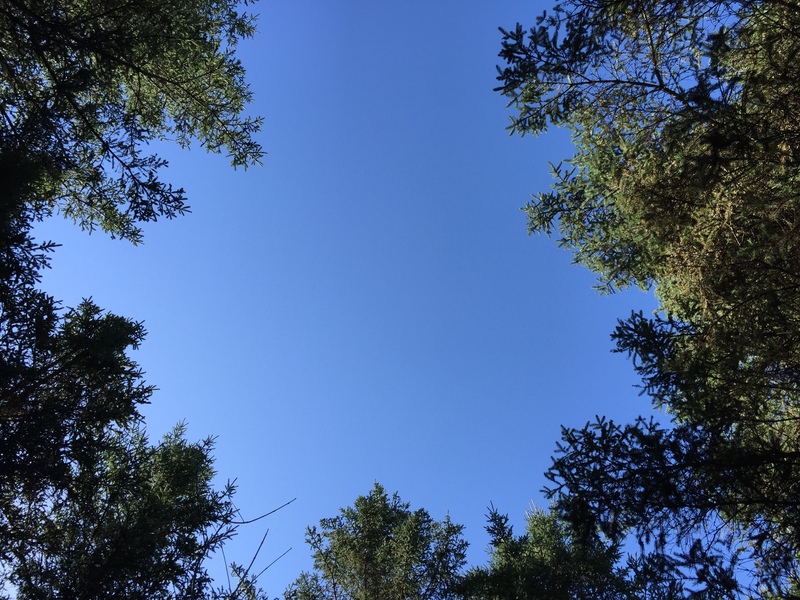 I’ve blogged about the benefits of yard trees (clean air, reduction in stormwater runoff, energy savings) but today I am going to blog about what I told and will tell lots of children this month in honor of Earth Day! Trees are a renewable resource that give us basic essentials; to those materialist products we enjoy. They literally give us everything we use. Do you know how difficult it is to find something not made from a tree??! I am telling you right now, my friends, it is not an easy task!! I wanted to make a fun quiz for the children, so I started filling a box with products made from a tree and products not made from a tree. 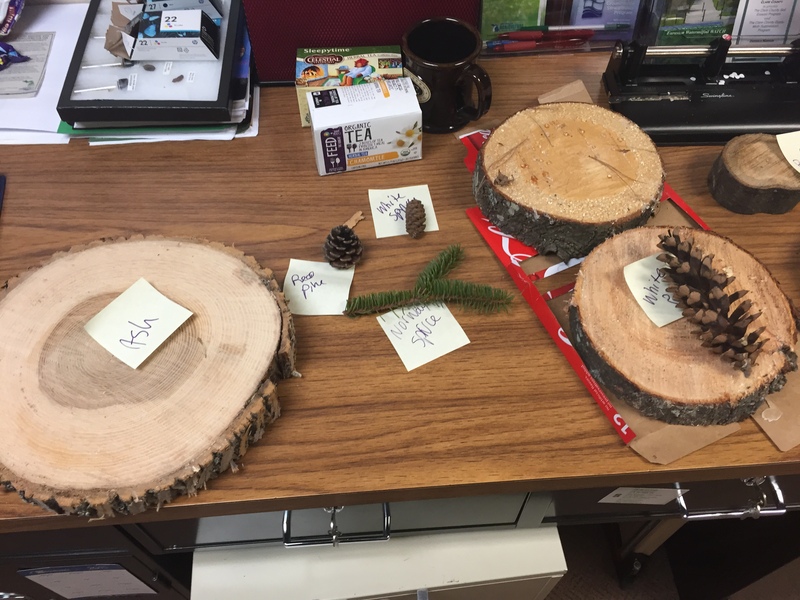 It was super easy finding those items made from a tree, I could have put my whole darn office in that box, but I did not!! Instead I researched and researched and researched for things not made from trees. This is what I came up with…a magnet and a plastic bottle. I am not even 100% sure if I am correct on these items!!! Here I thought Crayons were tree free–NOPE!!! Gum extracted from trees helps make crayons! Mind BLOWN! When I asked an 11 year old boy to pick out an item from the box that he thought was not made from trees, his first choice was a sheet of paper that said “Ice Cream” on it. This one was my curve ball! Yes, ice cream contains cellulose from trees to give it texture. He dug around some more, looked at the tooth paste, the band aid and finally grabbed the magnet! I yelled Yahtzee! With a little extra thought he was able to find the rare item not made from a tree. It is important not only for adults to be educated on trees but to connect our children in unique ways to the earth, I primarily focus on trees, because it is my job but I try to tie it all in together in the end. 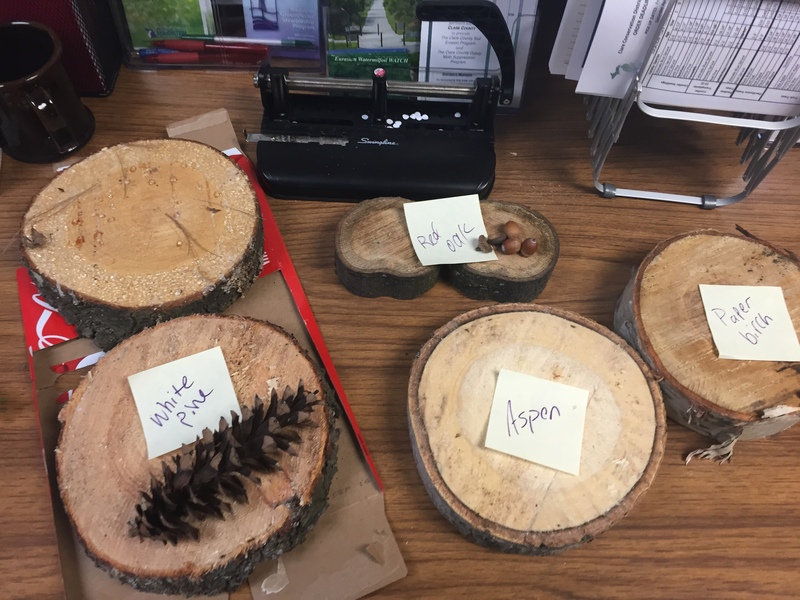 After going over the tree parts, deciduous vs. coniferous trees, and tree harvesting the children were able to connect themselves to trees and find what is and is not made from a tree. We need to keep making these connections and getting children outside and educating them, they are the future stewards of this Earth and they need to learn now to love it and respect it. 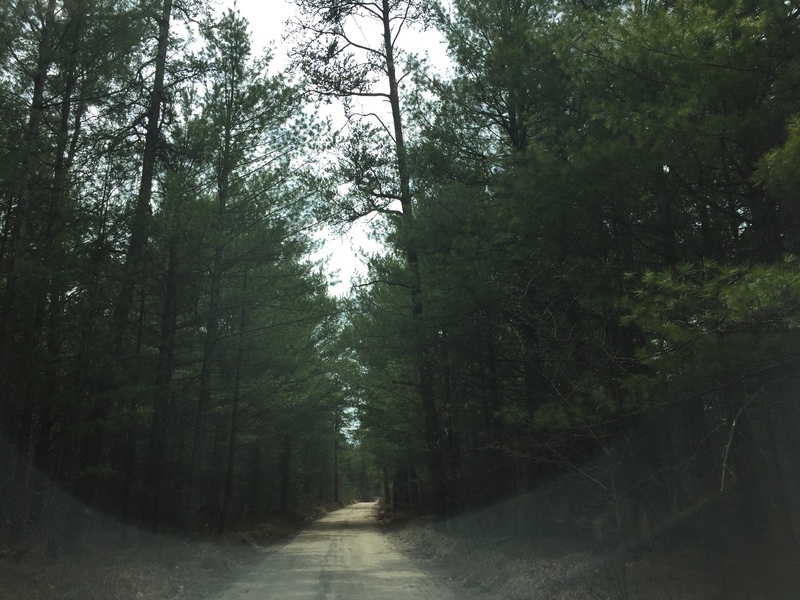 I know, when folks ask me why I became a forester…I tell them about my childhood. Growing up with a woods in my backyard I was never inside (yes I know times have changed) but I still was outside more then I was inside. At a young age I created that bond with nature that carried into my career. Get outside, bond and love the Earth! Earth Day April 22nd. I get giddy at the sight of a baby tree! The other day I was out walking a friends property and of course taking pictures! I sent this photo of the baby balsam to him and he responded with “Life Amid Chaos”. It was the perfect words to describe this photo. Among the various leaves, twigs and duff layer lies the new beautiful life of a tree. Life Amid Chaos Natural Regeneration…. What if we did not always take the “easiest” path?? As I was driving back to the office after a site visit I stopped a couple times to over look some beautiful sites. One was a bog like site, then a lake, and then I stopped and looked at a small stream flowing. Well actually I stopped at the small stream site because I am on a steering committee for a watershed and was checking out the culvert and erosion of the site. But regardless it was an inspiring stop. Sometimes I can not explain why certain things pop into my head at any given moment but as I was looking down the stream, I started to think about water and how it always takes the path of least resistance. Which is part is why water ways do not flow a straight line. Instead, it all starts with the water taking the easiest path. Then I continued on driving “Waldo” (that’s what I named my vehicle) down the wet, muddy, gravel road. Again, as my car is swaying back and forth following the tracks of the previous vehicle I was thinking again, even my car without having a mind is taking the path of least resistance. My wheels are automatically following the already made tracks; meanwhile I look like a crazy driver all over this small gravel road trying to stay away from the huge pot holes and trees the run along side it. Subconsciously, everything takes the path that was already paved for us, water, wildlife, my car, and we as humans can admit to taking the already paved paths. But why do we? What would happen if we didn’t? If we challenged ourselves to at least once a day to take the path of most resistance or the more difficult path, would we accomplish more? If we challenged ourselves to this…at the end of the day would we feel more accomplished and satisfied, would it make us “more happy”? I know we cannot challenge wildlife, water, or our cars to this task but we can challenge ourselves. We can challenge ourselves to not be afraid of what we do not know- but rather face it head on and find that less beaten path to make ourselves more knowledgeable and hopefully more successful. 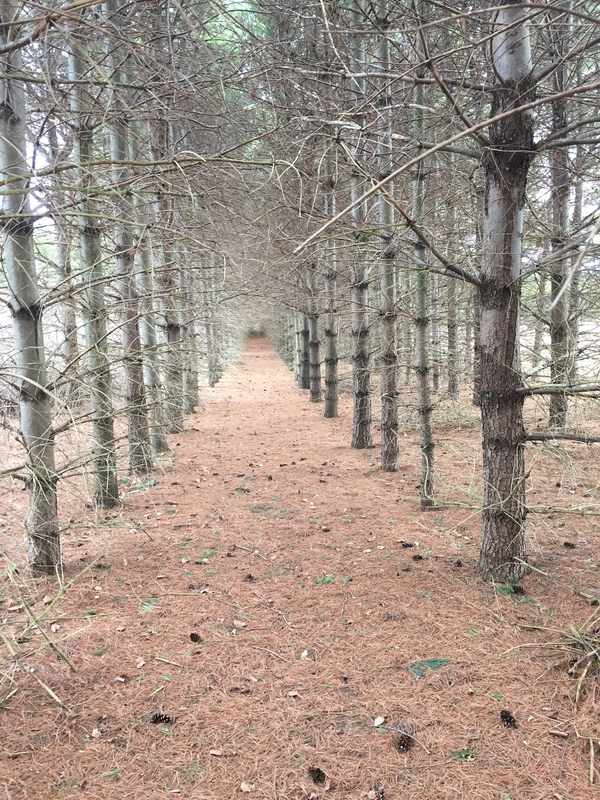 Now, I know this is a forestry blog–so here I will relate it back in a couple ways. After I had this mind shaking thought, I was thinking about the daily things I do…and how when I am out on a site visit with a landowner we are usually following a trail through their forest, but often in order to see more and get more of an idea of what they have I take off into the forest, off the trail. After I get a few feet in I look behind me and they are usually with me (haven’t met a scared landowner yet)! In order to get the full effect of the land and see more you have to dive in, get smacked in the face by branches and trip over sticks to really experience it! Another way to relate this revelation back is…through my position I provide a lot of education to my communities, landowners, children and other professionals and sometimes the topics I choose are controversial. Now, if I took the easy way out, would that be fair to myself, would I really be succeeding at what I am trying to fulfill? If I did not bring up topics like climate change, the newly endangered Northern Long-Eared bat, or fighting against subjects like hinge cutting or letting invasive species grow because one persons view is different than mine- is that cutting myself short? I say yes I am cutting myself short. So, I continually keep taking the path of resistance and not putting my views onto someone else but rather get the education out there, so hopefully one day folks will have that knowledge to not be “scared of the unknown” but rather face it head on! I continue to pave my own path in forestry and life. I challenge you to not take the path today–but rather pave your own path. If it fails today-take it tomorrow and you may succeed in ways you never imagined! 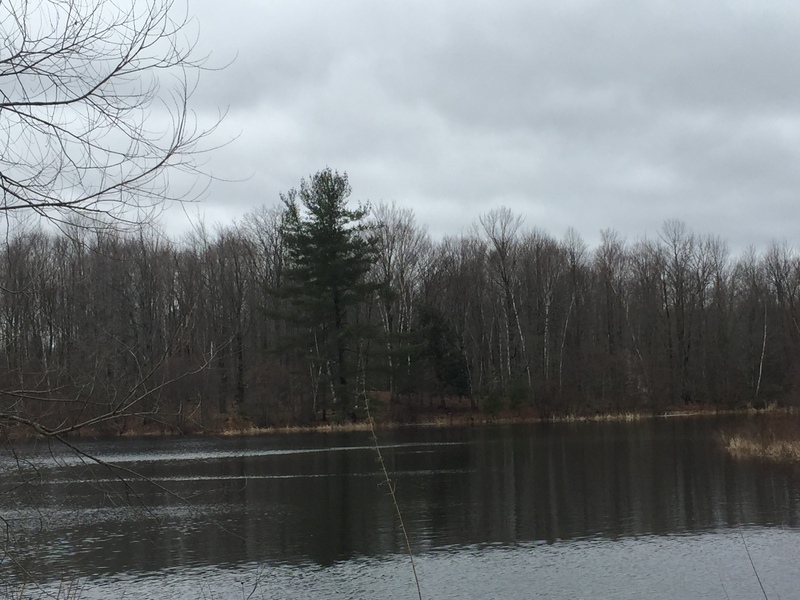 I may be new to Michigan, but I have been keeping up and researching all the diseases and invasive species that are affecting our forests today…its kinda my job. 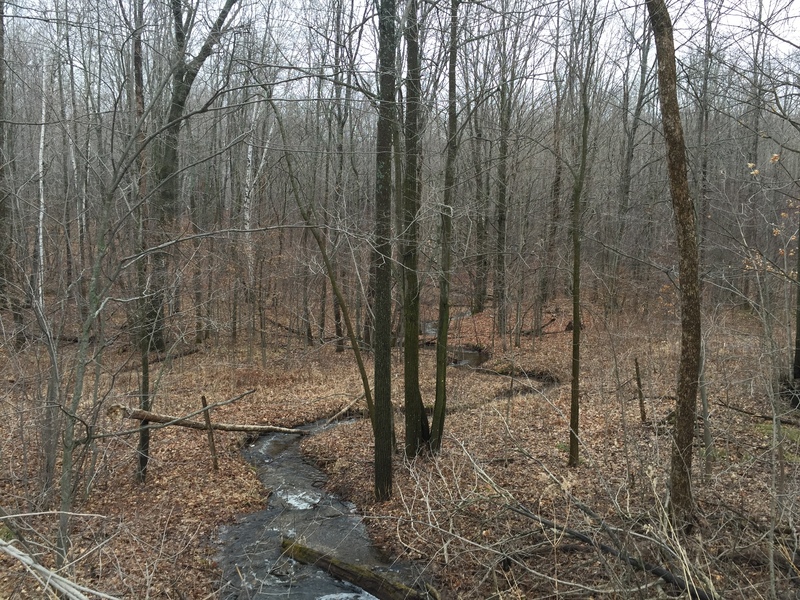 Michigan, like other states, has been dealing with the detrimental loss of their ash trees. 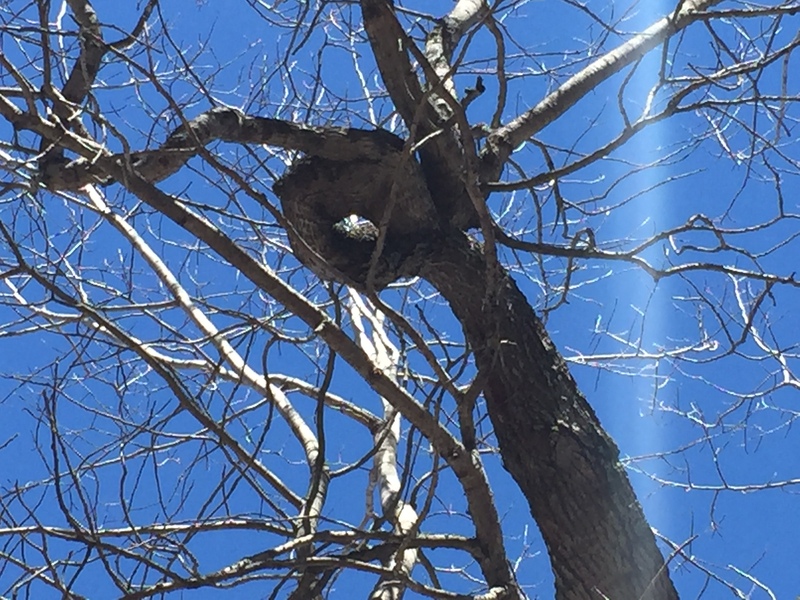 Now I hope this has opened the eyes to forest landowners and everyone in the state that we need to stay up to date and aware of the problems our trees are battling each day. We can not stand by and think that if it is not in our back yards today does not mean it wont be tomorrow. So, this oak wilt I mentioned in the title…its ugly and scary. It moves fast and because it has two modes of going from tree to tree its even scarier! ahh!! But we can not run…Stand tall Michigan oak owners, I am here to tell you about it and help stop the spread! Oak wilt is a fungal disease that can spread through the root systems as well as through a beetle. First off, the beetle it finds injuries or freshly pruned branches and gets in the oak tree and feeds on the sap. The spores of the fungus then stick onto the beetle and can be transferred to the next tree the beetle goes to. The second way it spreads is through the root systems. Oaks are connected by grafts on the root systems and the fungus can spread through the grafts. Causing pockets of oaks to be infected quickly and die. The red oak group dies quickly and when caught is too late and there is no injection that can be given to prevent or stop it. Once a red oak is infected it only takes 2 weeks for it to die completely. The management for this is to remove the oak, roots and all, and also remove all the surrounding oaks because they are most likely infected already. 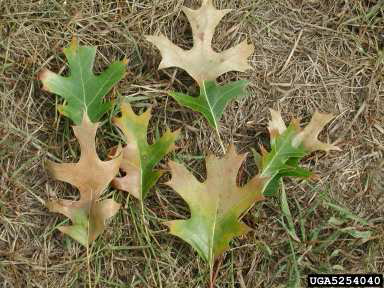 The white oak group is also at risk but there its a slower death and can be injected to prevent the wilt. The fungus gets into the water vessels of the tree and causes the leaves to wilt and turn brown. To identify it starts at the outer edges of the leaf and moves in. 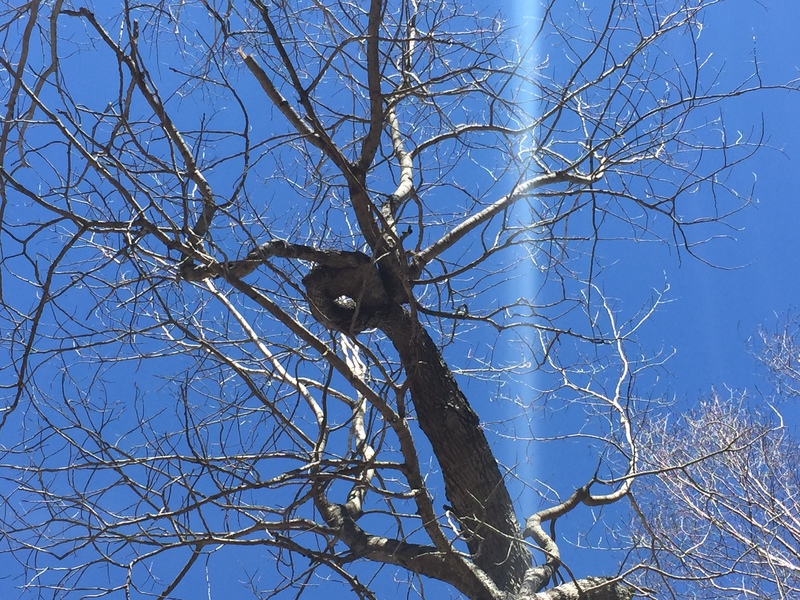 Be Aware, do not injure your oaks, do not move firewood AND STOP pruning your oaks now until July or even better until fall time!! April 15th is not only tax day it is also the cut of to stop pruning!! Spring is a major time for folks to move firewood…please stop! Buy firewood locally. When I visit home and run into old friends or when I meet new people at events and they ask what I do, I respond with I am a forester. What follows my response is often one of the many misconceptions folks have about foresters. 1. The number one misconception is “oh so you’re a park ranger”! No, I am not a park ranger. A park ranger is a job where a person(s) is in charge of maintaining and protecting a national, state, county, city park. A forester is someone who actively manages forests both private and state. Yes, we both typically work outside–but doesn’t mean we are the same profession! I am a District Forester for Conservation Districts, I help private landowners with land management. This can range from wildlife, tree plantings, disease and infestation control, harvesting and management plans. 2. Secondly, the misconception of clearcutting a forest. Clearcut harvests are a common practice in forestry, but hello as foresters we love and want to sustain our lands for optimum growth! 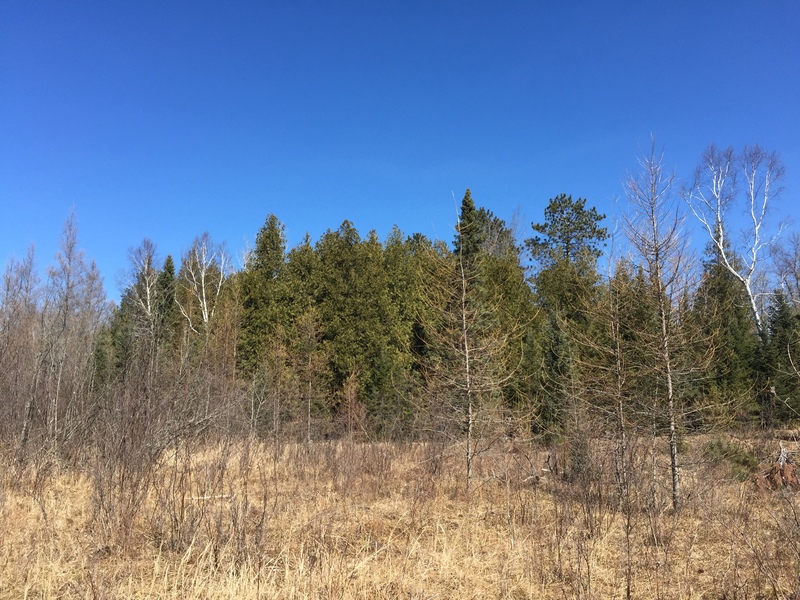 We are not trying to “screw” anyone over by clear cutting- in most cases the forest needs to be clearcut due to disease, poor quality of forest (best to start fresh), or the species present requires a clearcut for optimum growth. 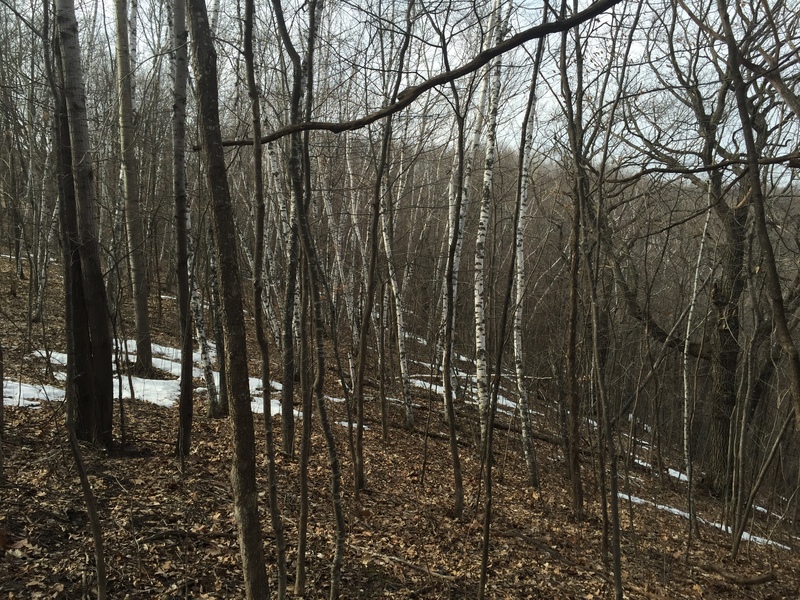 For example- Aspen Trees- now they need to be clearcut once they hit harvesting age in order to open up the ground. Aspen trees stump sprout and when clearcut come back like WEEDS and its great! They need that full sun and full water potential which is why “foresters” recommend clearcut, and aspen grows back so fast you will only have the eye sore for a short time. 3. Third, No I do not “chop down trees”. There is a difference between a logger and a forester, our jobs are very different but both work towards a common goal of forest management. A logger actually does the cutting or harvesting of a forest where the forester can be the one to administer the sale and mark the trees but they are not the ones cutting trees. A forester is all about the best management a logger takes the wood off the ground and gets it to the mill (buyer). 4. We wear the orange vest only during hunting season. Oh no no NO, the vest is a foresters #1 tool in my opinion, its an everyday fashion STATEMENT! (I know my friends back at the University would agree, if you had the vest you were in!!!) The vest the beautiful vest carries all our tools and everything we will need for our visits. In my vest for site visits I have so many things in it. I have an angle gauge (to get the basal area), a clinometer (tree height), compass, gps, clipboard, knife, magnified scope, pens/pencil, tree id book (I do not know everything!! ), small notebook, and usually my phone to take pictures! There are so many things in a foresters vest- helps us be prepared and look super great 24/7!! 5. This weekends misconception….so you watch for poachers? This weekend while watching my Wisconsin Badgers win, I met some new folks and again when asked what I did, I responded with I am a forester and his response was “so you go out and catch poachers”!? Again, no. I do not regulate what folks do on their properties or state lands- I leave that up to the conservation officers, not a foresters job! So next time you meet a forester..thank them for actively managing lands for future generations and not jumping to one of these 5 conclusions right away! Ever walk through the forest and see something, stop, and go hmm? 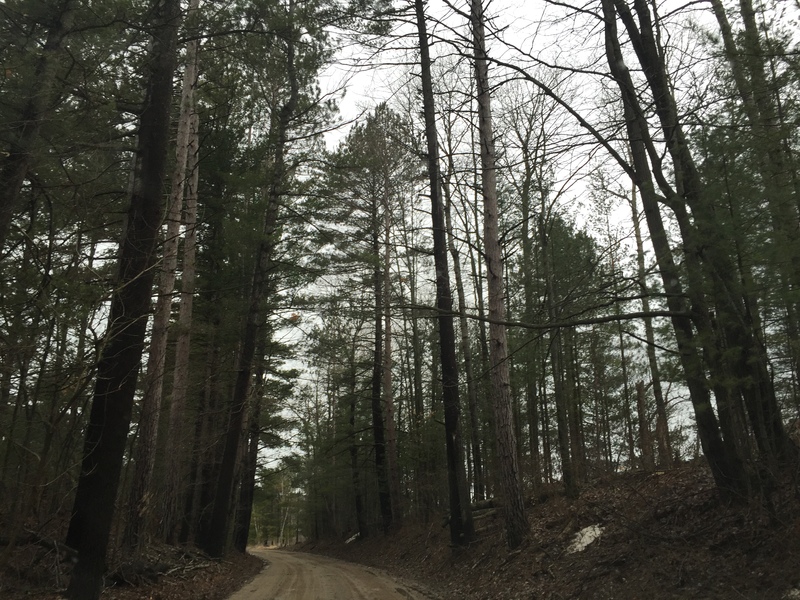 Yesterday I was out on a 120 forested property with a landowner. We were just cruising along, when we stopped and both looked up and went hmm. Often when I go to properties with a lot of acreage to cover the landowners drive me around on 4-wheelers or gators so we can cover all ground and see EVERYTHING! So here we are vroom vrooming along when we had to hit the breaks. Up above us was unlike something I have never seen before. 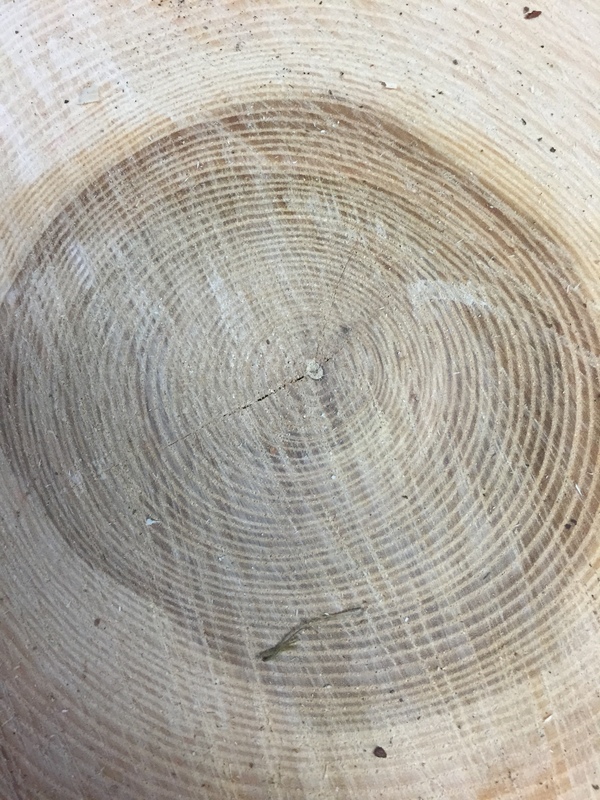 The tree branch was literally curling around making a doughnut shape! I thought perfect placement for a bird or squirrel nest. Now, I have seen a lot of trees that grow around things, like a sign or nail or something like that. Trees have incredible strength to grow around inanimate objects in order to survive. I have also seen trees that grow slanted to try and catch as much sunlight as they can, but never in all my days of hugging trees have I seen one curl around like this. It is quite odd to me actually; what in the world this tree branch thinking to grow like this?! To my next wonder of trees…the other day I was sent an article about trees and communication. Whether or not trees communicate in ways underground through their root systems. Now part of me is like yeah okay makes sense what she is saying and part of me is thinking no, competition and Darwin’s theory of “survival of the fittest”. Survival of the fittest is not saying the strongest always survives. It is often misinterpreted or maybe I am the one who misinterprets it but I believe it means the ones willing to change or adapt and the ones that are “smarter” are the ones who survive. I am no expert on this! So when I was listening to this forester talk about the communication with trees I obviously got to thinking about her theory. When I was at this site visit he had a lot of regeneration. BABY TREES!!!! EEEE!!! 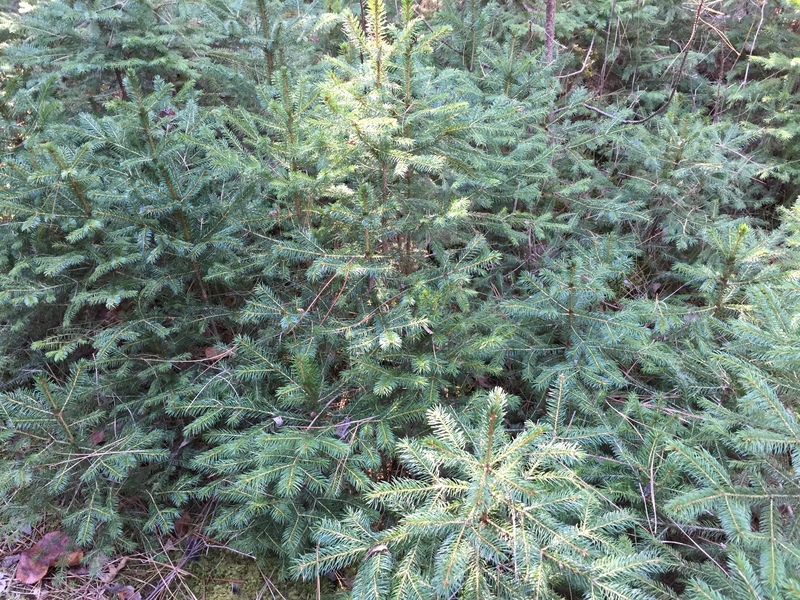 Anyways, so I looked around at these baby trees and her theory did not sit right with me..if a “mom” tree is supposed to reach out and provide for the baby trees by giving nutrients then why are there a bunch of baby spruce trees growing under oaks? Does the “mom” not have to be the same species of tree? 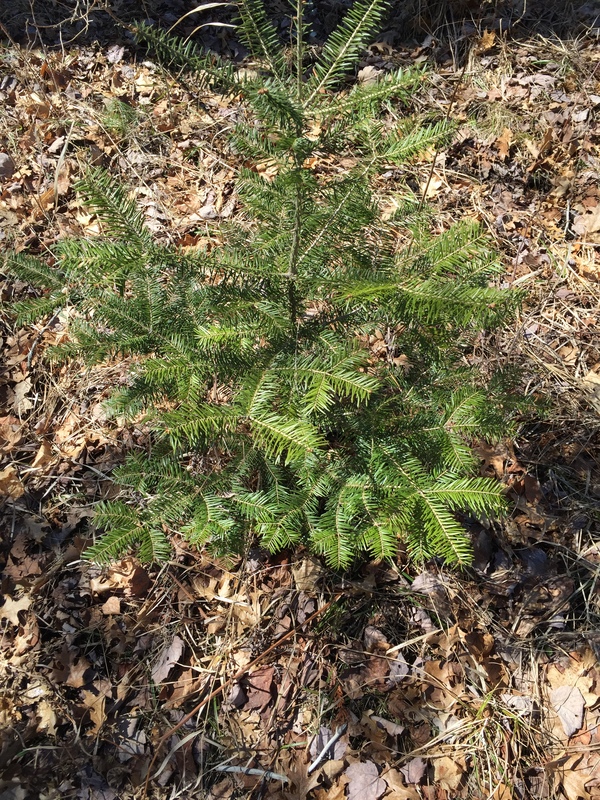 Are the mature oaks providing for these white spruce trees? Now I know, seeds travel by all sorts of ways but it was just a thought I had. I like the concept of trees working together to survive…but I also believe in competition and space with trees all the trees are out to get the amount of sun they need, water, nutrients–why would it compromise its livelihood for a baby tree that may not make it? Her theory is valid and she has much more experience and knowledge then me, but I love the passion others have about trees and learning new things…its all a learning curve for the constant change and new discoveries people uncover!